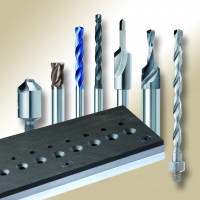 TFE is proud to announce that we have a new product partner: Ham Precision Tools. HPTec would like to present their further development: The Diamond Coated Router Type 892. This tool is for the processing of copper/IMS type 892 (1-flute router, diamond coated, flat end cut). TFE shares exclusive distribution rights for HPTEC products in North America. Contact us today for more information. Aismalibar is happy to announce their exhibit at the Strategies in Light trade show in Long Beach, CA on February 13-15 2018. Aismalibar was recently on site at the 2017 Ford Advanced Lighting Innovation Expo (ALIE) show in Dearborn, MI, introducing their newest product offering, FASTHERM.